The doll I'm going to review today is about the same age as my kids. She's an 8-inch Hermione Granger doll that was released in 2001, the year that the first Harry Potter movie (The Sorcerer's Stone) came to theaters. I always hesitate before I review an older, discontinued doll. Doing this can be confusing (since most reviews are of newly-released dolls) and also a little frustrating. Nobody wants to read a review, fall in love with a doll, and then not be able to find one for sale. However, I purchased my Hermione only about a year ago, so she's still out there. I paid $35 for her, and right now there are a few on Amazon and eBay in the $30-60 range. Her original price was $19.99. 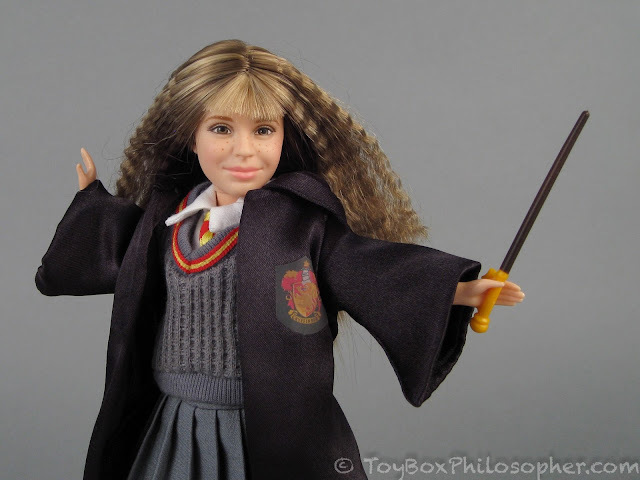 Hogwarts Heroes Hermione Granger, Mattel (2001). I want to say again how touched I am by the outpouring of advice and support following my last post. Thank you. I've been thinking a lot about many of your suggestions...and I haven't bought a new doll since January 8th. I also haven't set foot inside a toy store for more than a month, which--for me--is really good. The nice thing is, I still have a pretty big backlog of awesome dolls to review, so it's possible to continue blogging (as many of you mentioned) without constantly running out to buy the next new thing. 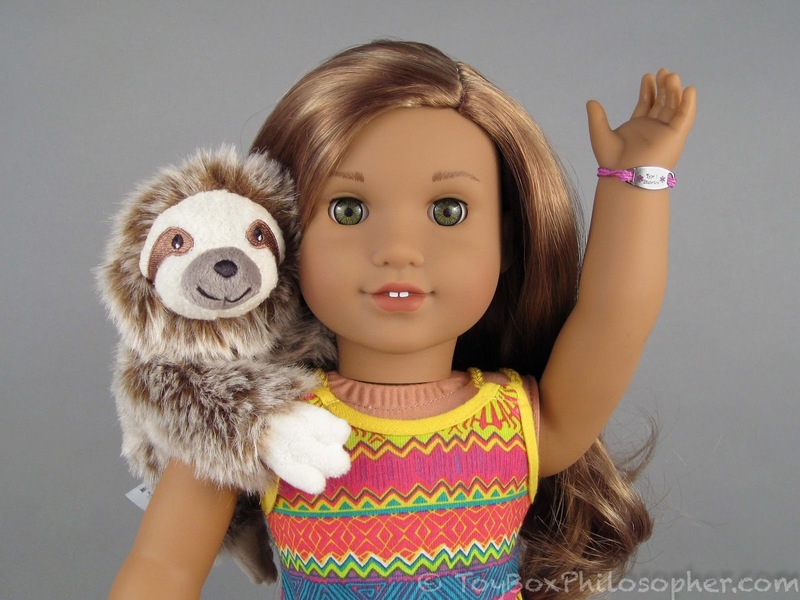 Girl of the Year Lea Clark with her pet sloth. It's been a bit of a rocky start to the new year for me. Family distractions caused me to take a step back and look closely at the blog. When I first started blogging, I read an article describing how it can take, on average, five years of hard work before it's clear whether or not a new blog will be successful. That seemed reasonable, and so I promised myself that I'd get to work and not worry too much about success (whatever that means) until at least four years had passed. Now, four years later, I find myself wondering about the success of my blogging approach. There are so many things I love about this blog--things that I consider a huge success. First of all, I love to photograph dolls and write about them. And, there's an incredible selection of amazing dolls out there to review. I feel like the proverbial kid in a candy shop most days. In addition, I get a lot of visitors or "page hits" (the brass rings of blogging) and am about to hit the 6,000,000 mark, which is unbelievable. I also love you guys. I'd wager that few blogs have such an amazing, kind, insightful audience. But the bottom line is really all about...well, the bottom line. The harsh reality is that this blog is losing money. Lots of money. Breaking even would be one thing, but losing money is starting to be bad. This could be my fault, or just the way blogs are these days. I don't know. But I can no longer pretend that this is my job. It's kind-of the opposite. Monster High Posea Reef, $19.99.